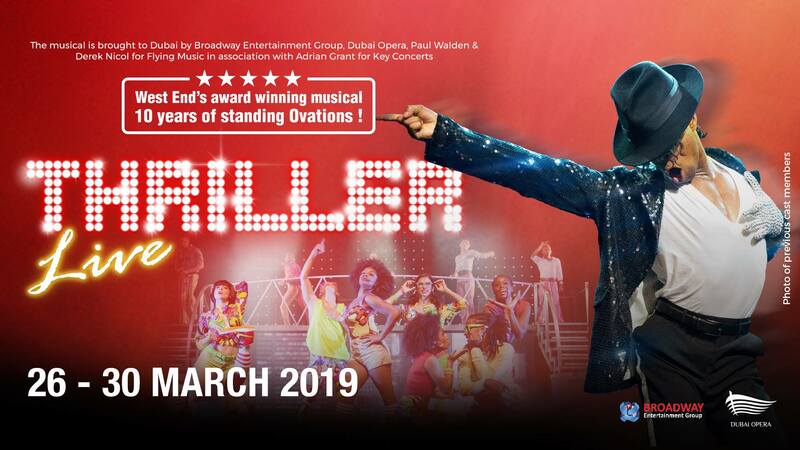 Thriller Live show, which is now in its record-breaking 10th year, will be performed at the Dubai Opera on March 26-30, 2019. Seen by almost five million people in over 30 countries, Thriller Live is a unique visual, audio and electrifying journey through the magic of Michael Jackson`s 45-year musical history. You will experience over two hours of non-stop hits from pop to rock, soul to disco as the cast pay homage to Jackson’s legendary live performances and innovative dance moves executed with flair, precision and passion, this is a show that you will never forget. Expect your favourite songs delivered by an exceptionally talented cast and band. The musical is brought to Dubai by Broadway Entertainment Group, Dubai Opera, Flying Music in association with Key Concerts.